Am I the only one who never thought of this? I saw a little tutorial for this on Facebook and had to make these!!! 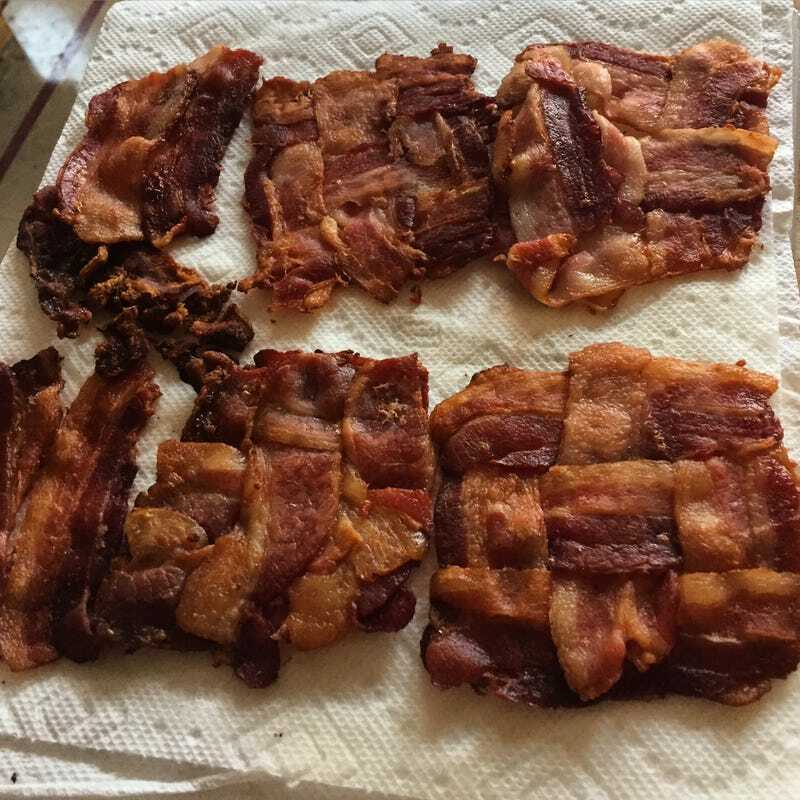 Each one has 3 slices of halved bacon (thick cut) and I baked them at 400 for about 20-25 minutes using another (smaller) pan sitting atop to keep them flat. One of the best BLTs evarrrrrr. With cheese because I live in Wisconsin.